STARBUCKS IS RUN BY JEW MONSTERS WHO FINANCE THE MURDER OF KIDS. ANGIE’S LIST IS ALLY TO THIS HORRID EVIL GENOCIDE. FOR LOVE OF GOD & COUNTRY, BOYCOTT THEM BOTH! WHERE HAVE THE – REAL AMERICAN HEROES GONE? SELFLESS BRAVE GODLY PEOPLE WHO STILL HAVE HONOR MORALS WISDOM AND SELFLESS COMPASSION TEXANS NOT! 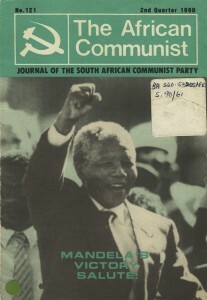 NELSON MANDELA = A REAL LIFE MONSTER- DEDICATED MARXIST – TERRORIST, MURDERER LIAR – FRAUD – RACIST AND SOCIOPATHIC SCUM. MORE HORRORS FROM SCUM THAT BROUGHT US 2 WORLD WARS – 9-11- THE USS LIBERTY MASSACRE – A COLLAPSED ECONOMY AND- MORAL DECAY – 12 YEARS OF SENSELESS KILLING IN THE MID-EAST – A POLICE STATE – AND VERY SOON – WORLD WAR THREE!